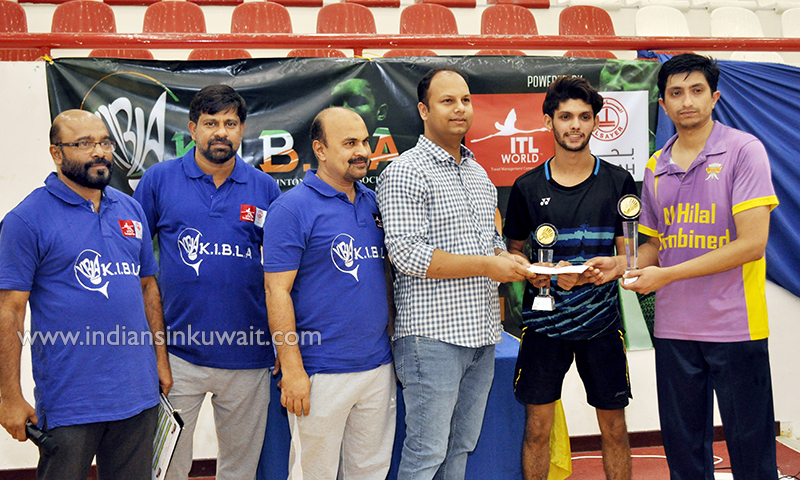 Indian teams dominate the Badminton Tournament conducted by Kuwait Indian Badminton Lovers Association (K.I.B.L.A) with the support of ITL Travel and Bahra Trading company. More than 150 players participated in the tournament held at the Fahaheel Sports Club Indoor Stadium, where participants from various countries from Kuwait participated. Most of the players were from India, Indonesia and the Philippines. 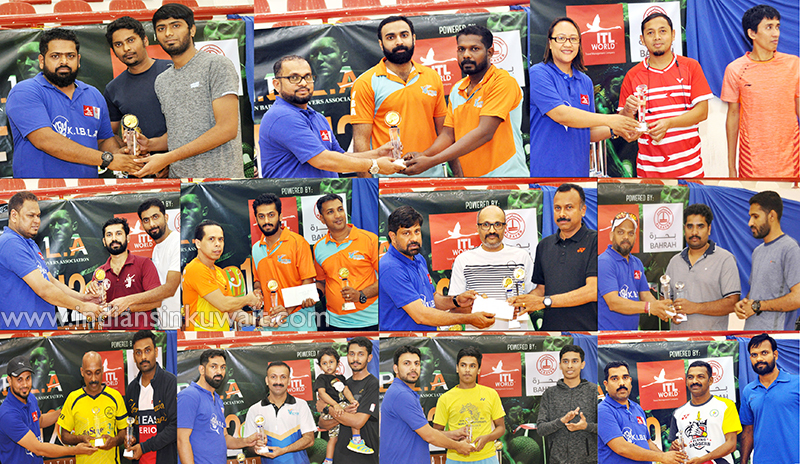 Most players who reached the semi-finals in the professional category were part of India national championship. The winner Arshad is former national player and former national school winner. Aneef K Latheef, who won the runner up, is the former Indian opener badminton champion and former Inter University South Zone badminton team captain. The Indian pair Arshad-Sanju defeated the first seeded pair Aneef-Bastian in staight sets (21-21, 21-15). Former All Kuwait champion and national Badminton quarter finalist Badar and Don received the trophy of semi-finalists. Under-19 national player Manas Manoj and Chris, who is selected to the Under-17 national team, are the second semi-finalists in the professional Category. Naveed and Harshad become the champions in the advance Category. Abin Mathew & Philip win the Runner-up second position and Noor Rahim-Nasser team in third. Gireesh-Nahash pair won the title in the Intermediate section and Shabin & Nihas Malik are second and Jolly-Binoy Thomas in Third. The champions are Abhilash and Alex in the Lower Intermediate section. Anees Karim won the second place with Lync James and Vineesh George and Sanil got third. Kibla Chairman Shabeer Mandoli inaugurated the tournament. The trophies and cash prizes for the winners were distributed by ITL Travel representative Shemin Thikkodi, Kibla office bearers Sreekumar, Hameed Kuruli, Zakariya, Nazir, Shafi, Nisar Nandi, Shamim Mandoly, Faisal, Hisham and Jimmy. Salahudheen, Suhair, Pramod, Jaggu and Irma Jimmy controlled the match. The Kibla office bearers thanked for the support and cooperation of the entire team members who participated in the tournament.